Months - Open Source Calendar (Unreleased) is an open source calendar application. easily available on play store you can download here. There are many features in this application like ( Month view. Week, day & agenda view. Month - Open Source Calendar (Unreleased) easy to use and all the design and features are very simple to understanding. I like to suggest some features in this application. Many people miss the notification in this application because there is no sound of this notification. 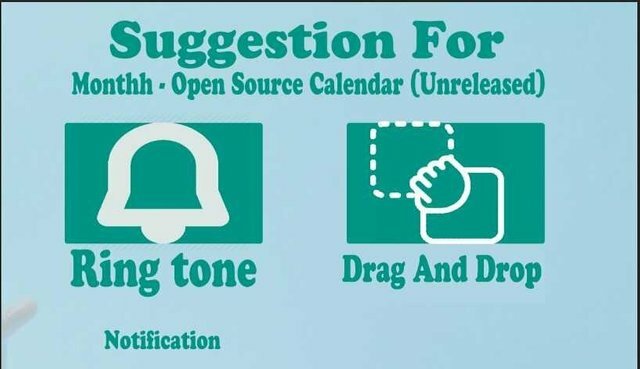 with the help of this option, we can set Ring tone or Music on Event. When our Events/agenda Will come near your time The ringtone will start ringing in a loud voice And in this way, we will not miss any notification. Hi, @nasirshah1813. Sadly, this contribution will not be evaluated or scored for one of the following reasons. Submitting low-quality contributions via Utopian frequently.